Maker Camp is a 6-week virtual summer camp for young makers (ages 12-18) interested in DIY, making, creating, crafting, hacking, tinkering, and discovery. 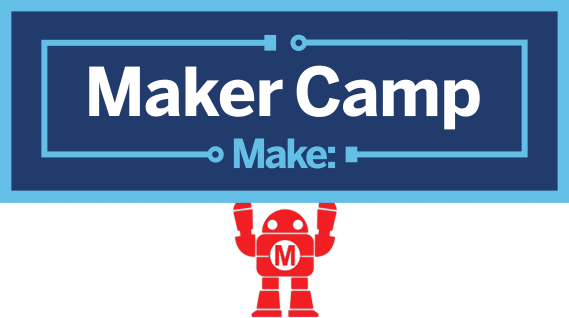 Maker Camp is sponsored by Google+ & Maker Media, and hosted by organizations all over the world. Think of Maker Camp as a world-wide camp where groups of campers meet virtually online using the Google+ community platform. All interactions, videos, project instructions, and communication with campers and hosted Maker Camp sites happen online. Learn more about Maker camp on makercamp.com. Also, feel free to check out the Google+ Maker Camp community to read more about Maker Camp and see what people are saying.